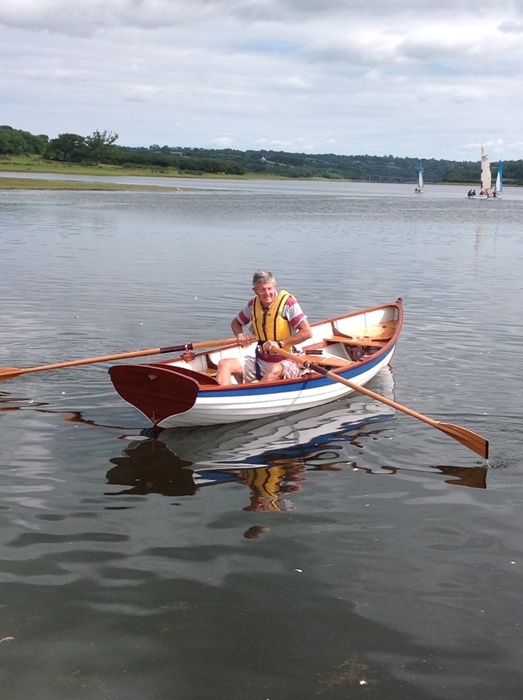 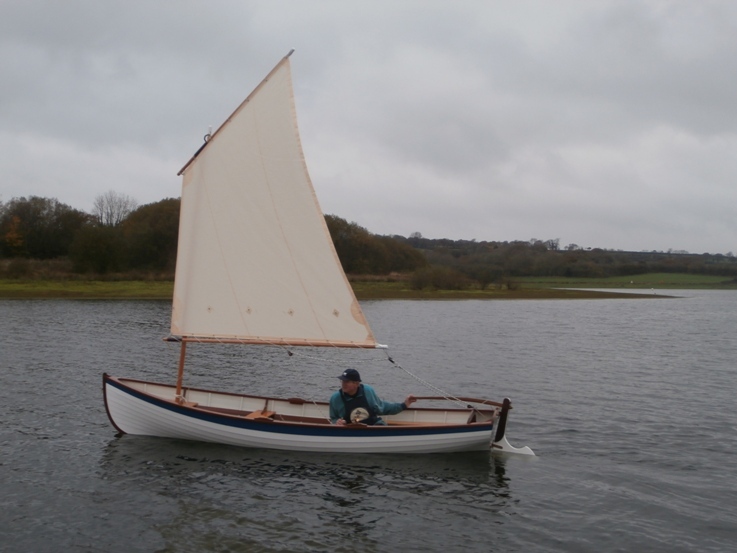 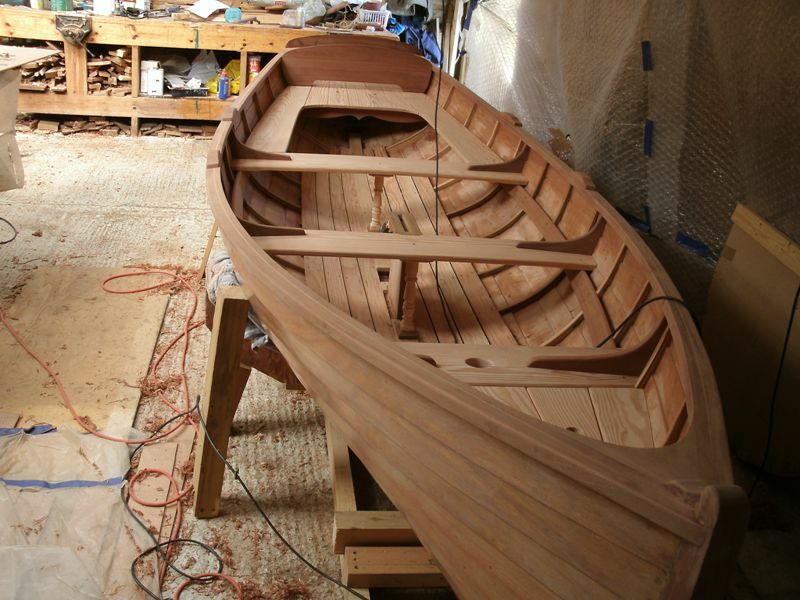 The design is based on the traditional waterman’s skiff of New York harbour. 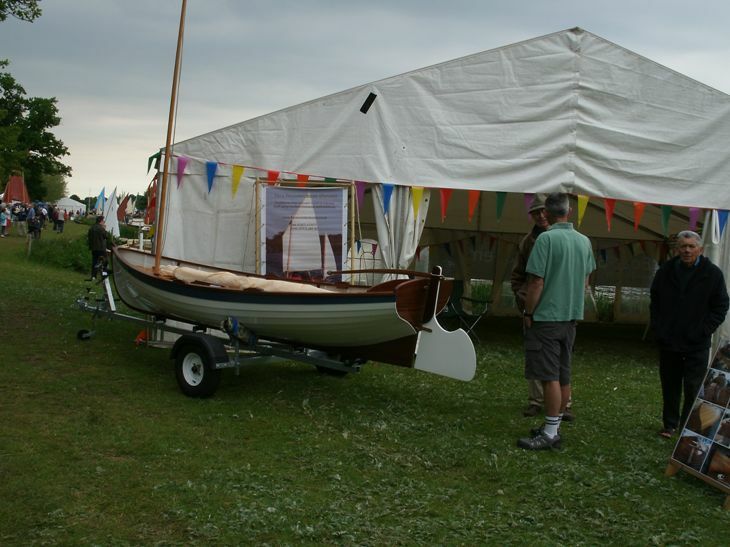 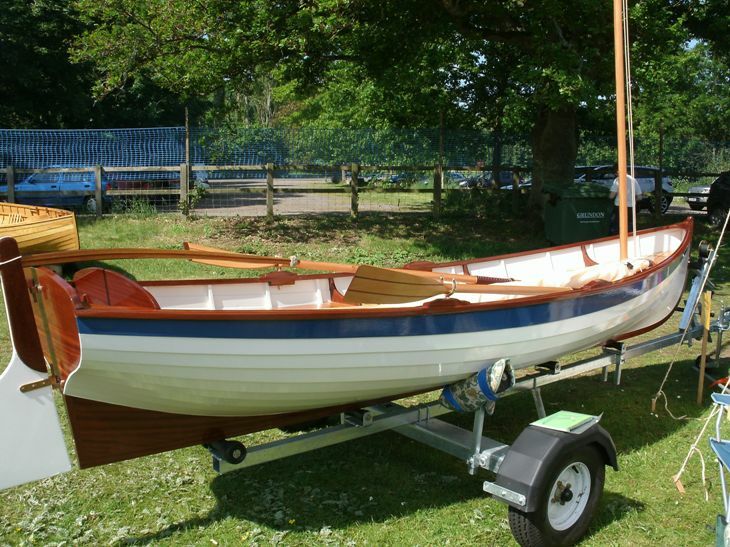 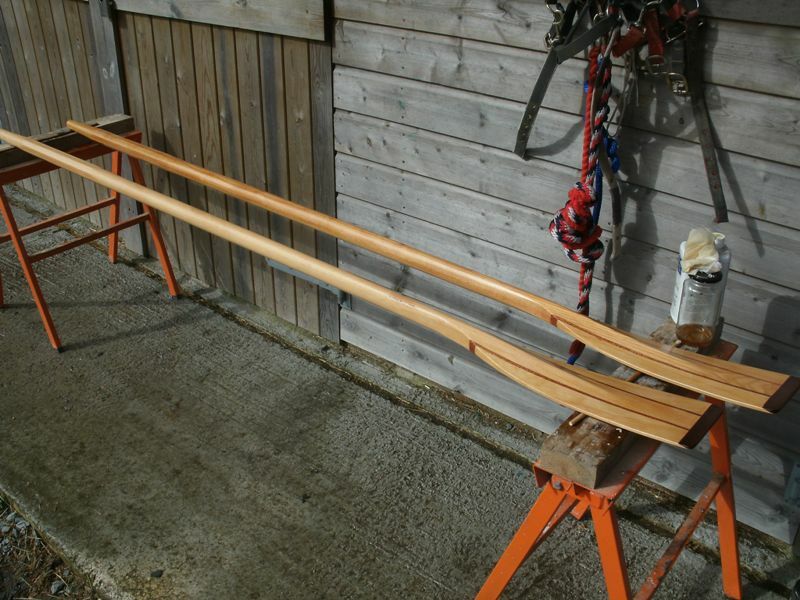 Equipped with a simple standing lug and dagger-board for sailing. 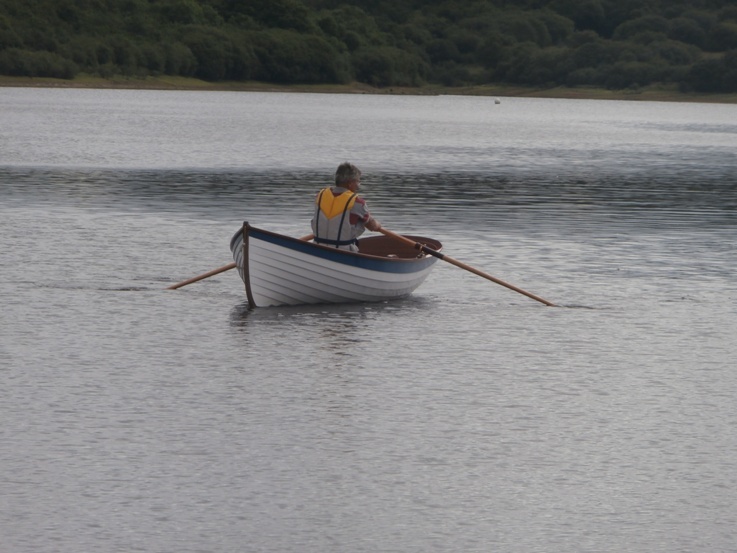 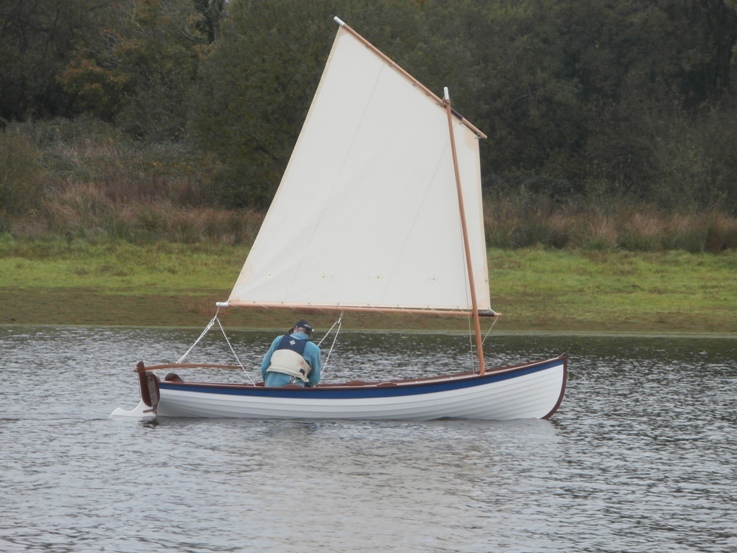 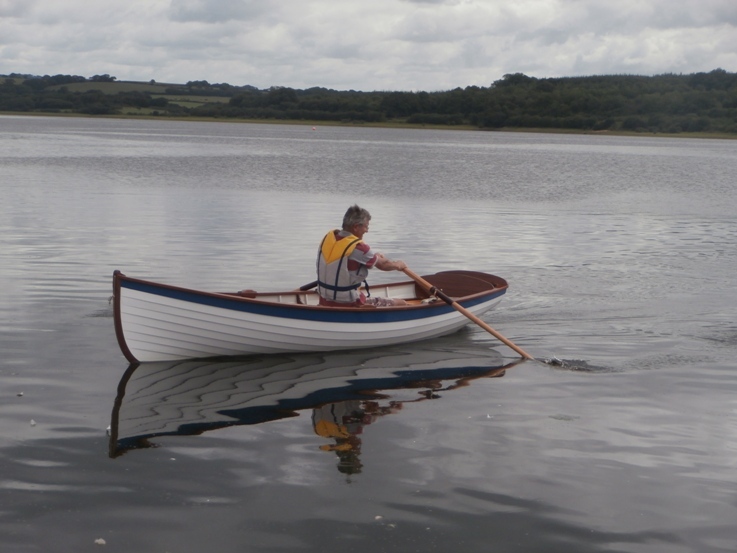 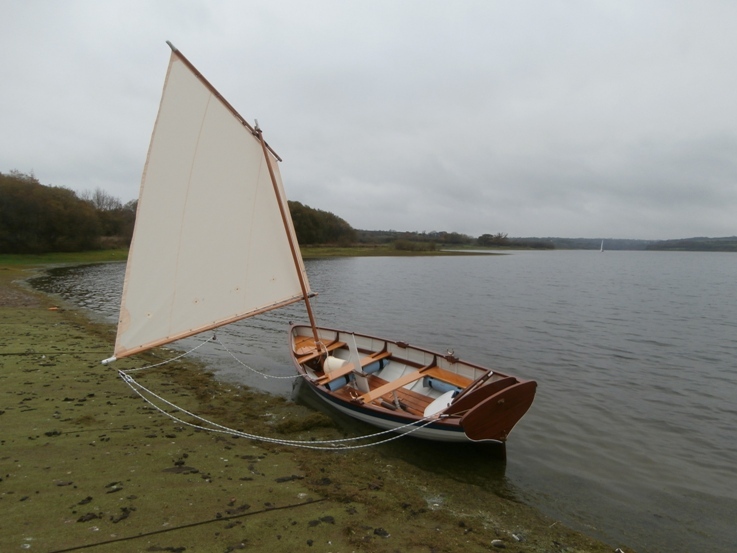 Ideal boat for use on estuaries, lakes, rivers and canals (RCD Design Class D, Sheltered Waters). 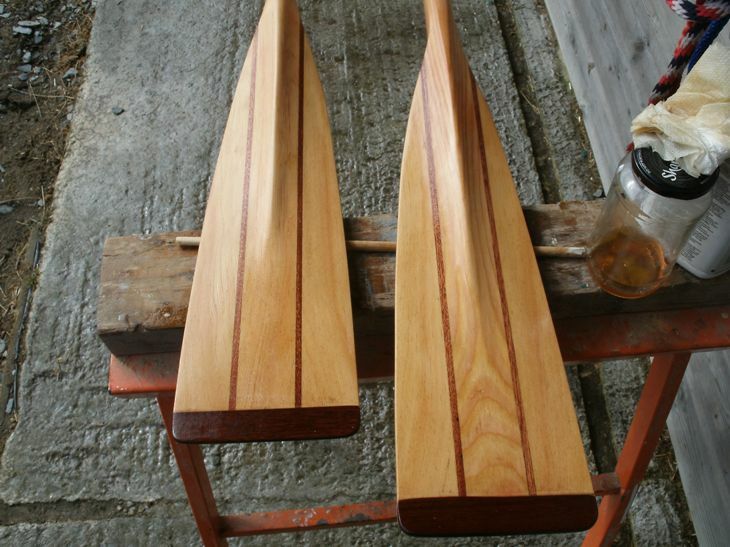 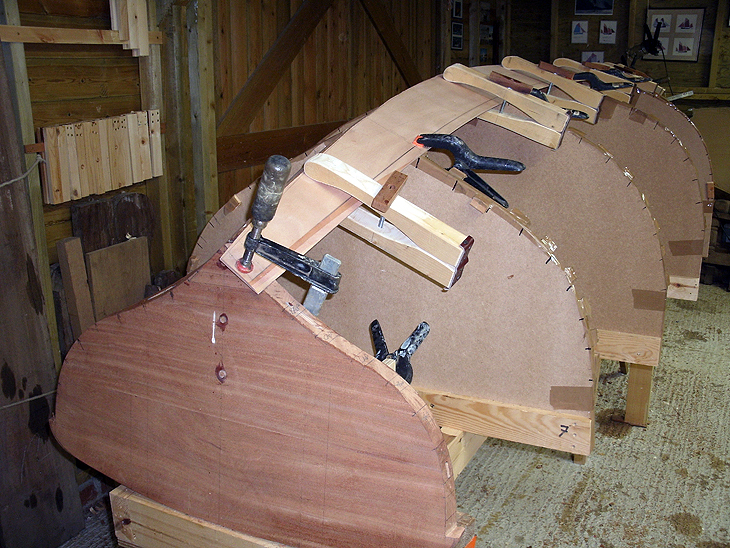 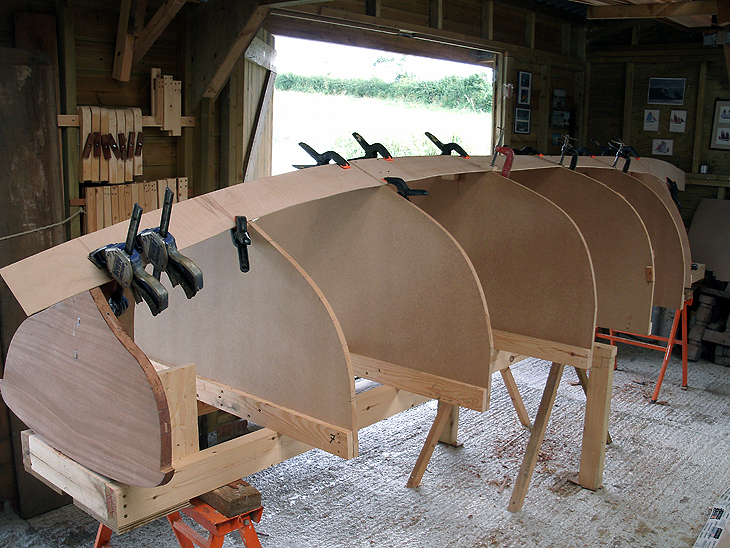 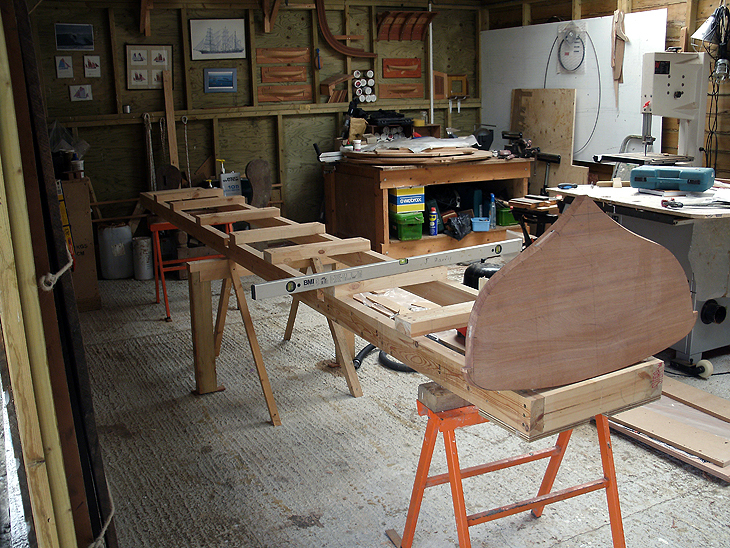 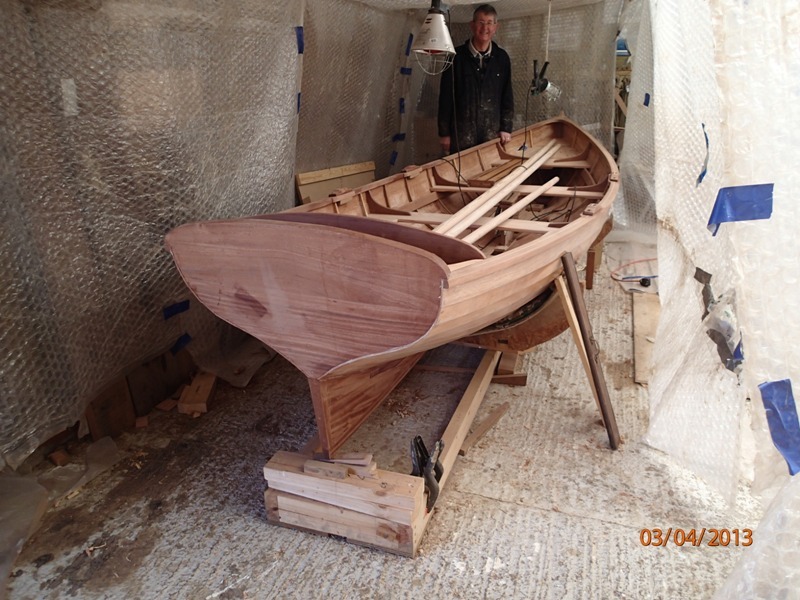 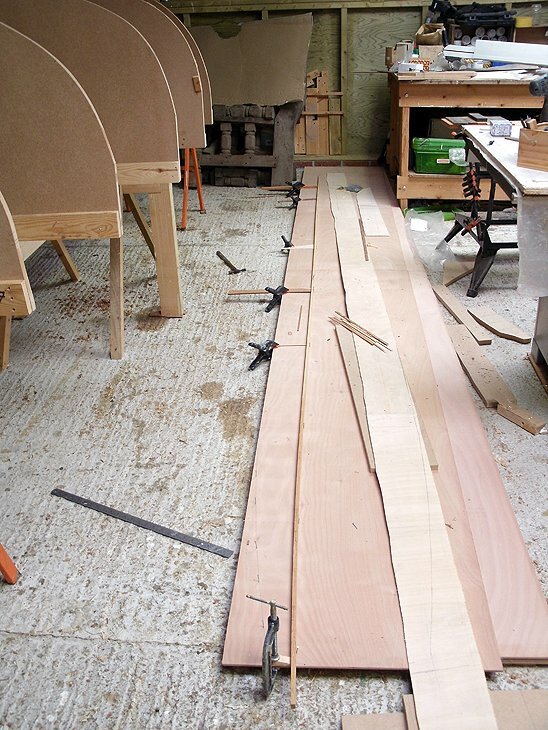 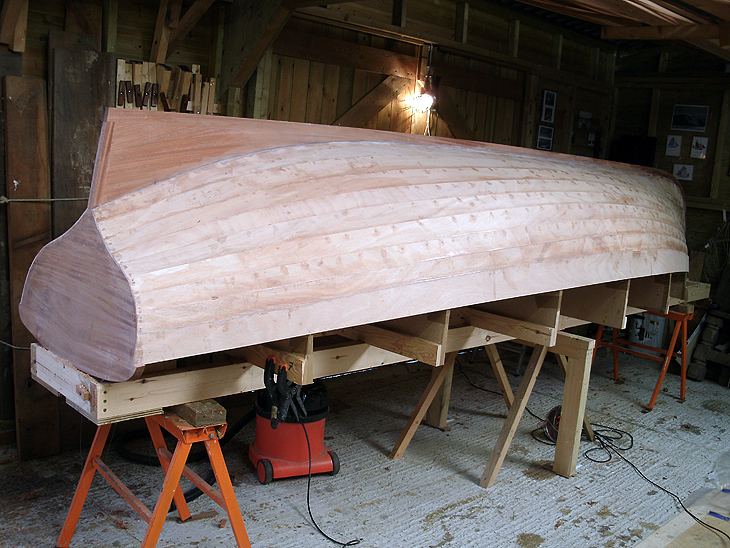 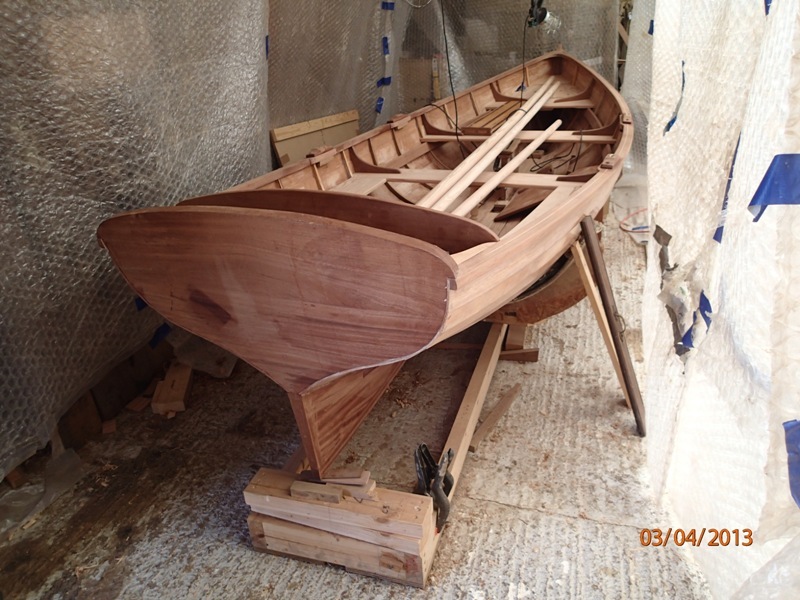 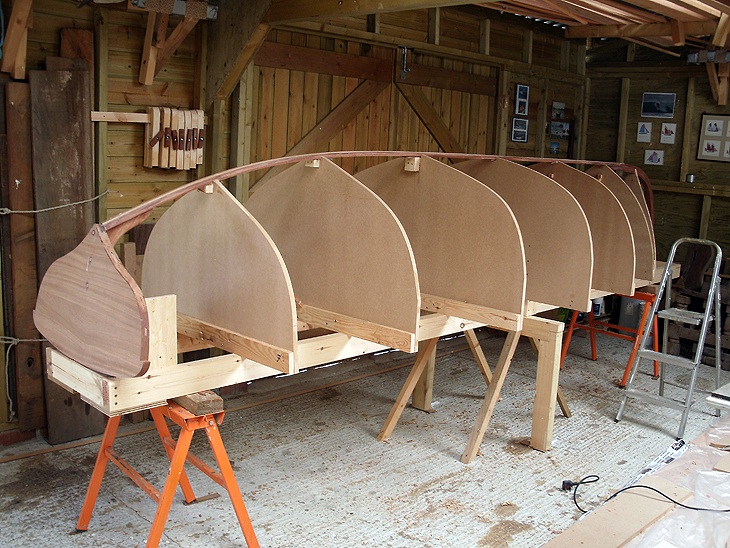 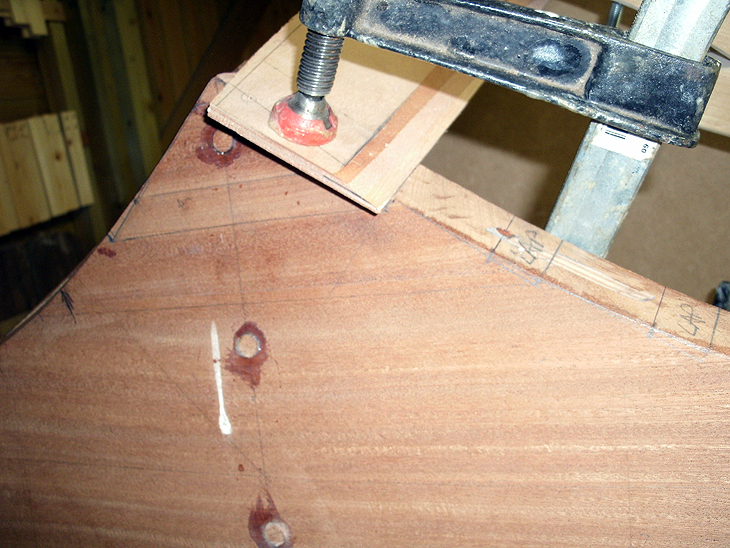 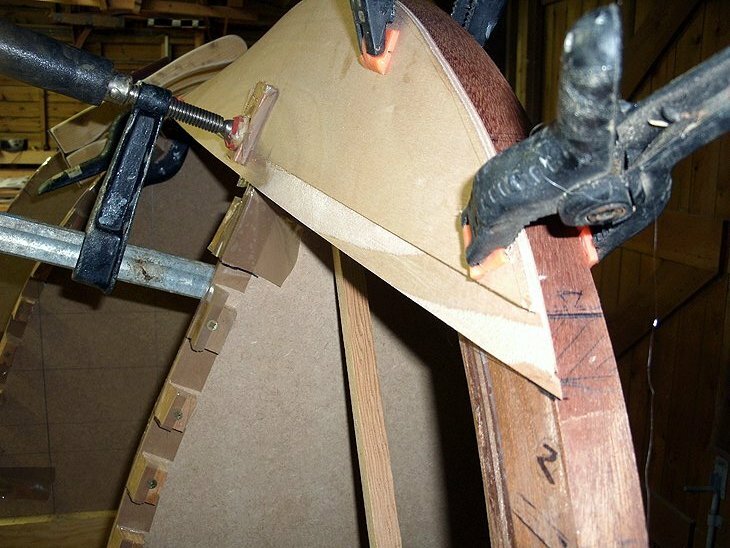 Hull construction glued clinker plywood (Robbin’s Elite marine plywood with WEST System epoxy); mahogany transom, keel/hog and laminated stem and frames.